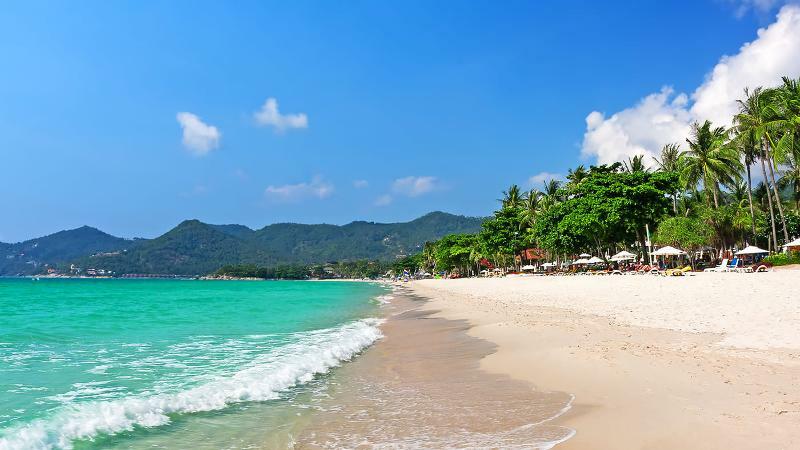 The location of the biggest and most famous beach in Koh Samui is Chaweng beach. It is a very lively stretch of coast and you’ll find the majority of Samui’s popular nightlife here. Many bars and beach resorts populate this pure white sandy beach. It is also host to a lot of water sports activities such as jet skiing, surfing and fly boarding to name a few. There are no shortage of restaurants and massage spas, so it is popular with both young and older generations alike. There is something in Chaweng for everyone! 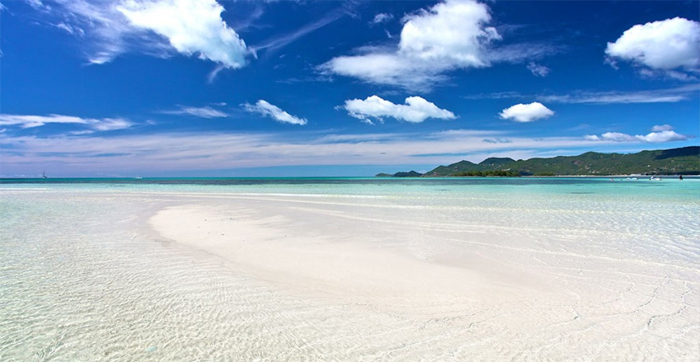 Chaweng beach is around 7km long and situated on the east coast of Koh Samui Island. Just a short taxi ride south of Koh Samui Airport, it makes it a common place to stay for convenient and easy access to most things. There are literally hundreds of options for accommodation in Chaweng and it is home to some fantastic hotels and resorts, a lot of which cater for weddings and private events. Some are located on the beach itself, and some are located set back into the lush tropical hillsides. A few resorts even split their accommodation into two – giving you the best of both worlds.